The Cova de Valdavara and Valdavara 3 are situated in the karst located on the right bank of the river Naron (known in this area as Cruzul), one of the tributaries of the left bank of the river Navia, at 120m and 220m, respectively, above the current channel of the river. They are part of a cave system located in limestone formations called the Calizas de Vegadeo, from the Lower-Middle Cambrian. La Cova de Valdavara was discovered in the 1960s by a group of amateurs from Becerreá. The archaeological excavations were carried out between 2007 and 2013, working in three sites with different sequences and deposits: Valdavara 1, which is the original cavity found in the 1960s, Valdavara 1-2, which corresponds to the outer slope and Valdavara 2, another small cavity located barely 6 m below Valdavara 1. In Valdavara 1 a sequence of almost one–and-a-half metres deep has been documented, consisting of two main stratigraphic units. The upper unit corresponds to the Late Prehistory (Late Neolithic-Chalcolithic). The lower unit corresponds to the late Upper Paleolithic, when it seems that the cavity was repeatedly occupied between 16,800 and 18,700 cal. years BP. At Valdavara 1-2, under a top level that was significantly altered by post depositional processes, a more homogeneous unit appeared (level C) with lithic artefacts in flint and quartz. Dating indicates an Early Holocene chronology for this level. This dating, along with the characteristics of the lithic assemblage, is coherent with attributing this level to the Macrolithic Mesolithic. Below this unit, we have identified another level (level D), characterised by the presence of quartzite flakes. 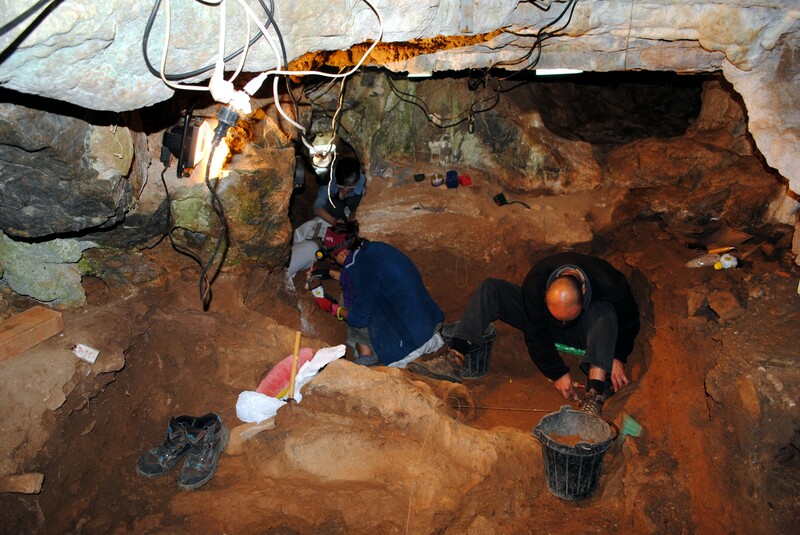 In Valdavara 2 a level was located at the top of the sequence containing the remains of at least three infant individuals, whose dating puts them in the chronological context of the Middle Bronze Age. Another stratigraphic unit appeared below this level with a fossil record characterised by the presence of a large number of carnivore remains but with no evidence whatsoever of human presence. Between 2009 and 2011 a rescue excavation was carried out in a cavity exposed due to the consequences of the blasting of a quarry 100 metres from Cova de Valdavara, which was named Valdavara 3. 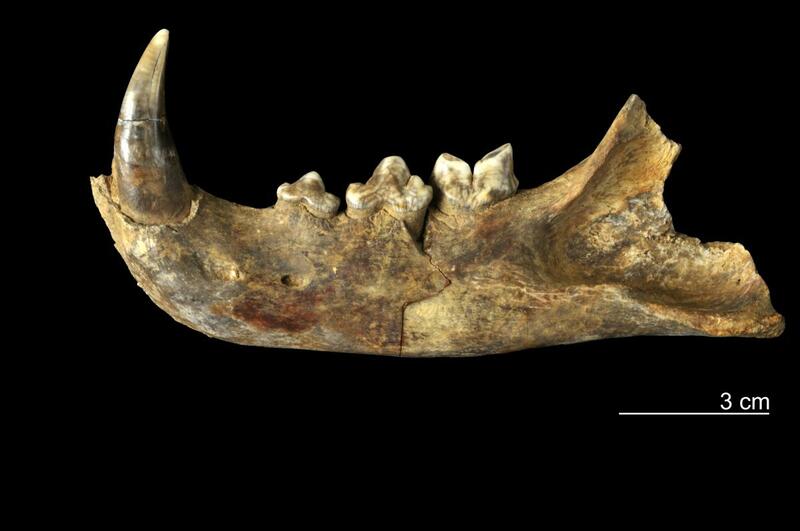 The large variety of fauna recovered from this site (lion, leopard, hyena, rhinoceros, bison, bear, fox, wolf, boar, roe deer, chamois, fallow deer), the characteristics of the micro-fauna and the first radiometric data suggest a chronology of early Upper Pleistocene, between 100,000 and 120,000 years. Although it is mainly a palaeontological assemblage, the discovery in situ of lithic industry stratigraphically associated to the fauna confirms human presence in the site. Although the chronology of the deposit is yet to be verified, this data places Valdavara 3 as an important reference regarding the oldest settlement in Galicia.